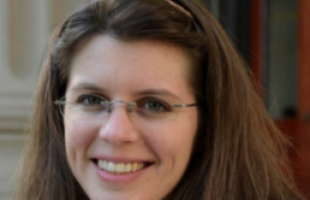 ICRAR is very pleased to announce that Associate Professor Anna Frebel will join us for three months as the fourth ICRAR Visiting Fellow under the ICRAR Visiting Fellowship Program for Senior Women in Astronomy. 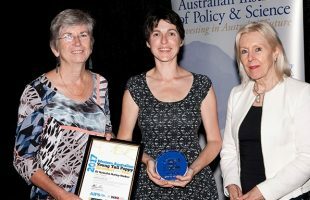 ICRAR-Curtin researcher Dr Natasha Hurley-Walker has been named Western Australian Young Tall Poppy Scientist of the Year at the 2017 WA Young Tall Poppy Science Awards. 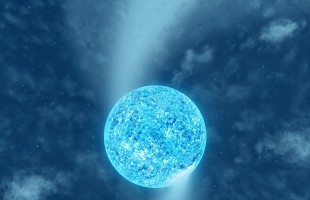 ICRAR astronomer Paul Luckas has collaborated with a Canadian-led team of astronomers who have discovered observational evidence for how features at the surface of the massive southern supergiant star zeta Puppis induce the formation of fundamental structures in its wind. 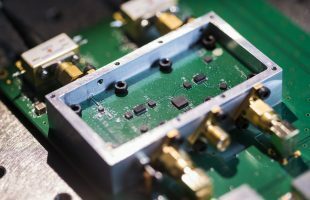 An optical fibre-based synchronisation system designed by an Australian team from ICRAR has been selected for SKA-mid in South Africa, with a system designed by Tsinghua University chosen for SKA-low. Astronomers have shed fresh light on the importance of hydrogen atoms in the birth of new stars. 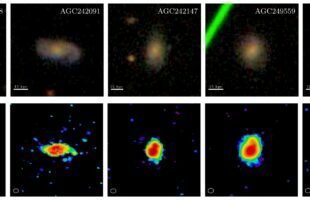 Only hydrogen molecules are thought to directly fuel star formation but research published today shows there are more hydrogen atoms than molecules even in young galaxies that are making a lot of stars. 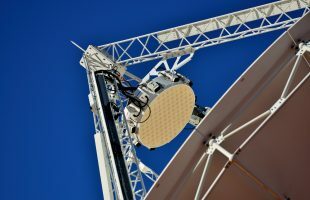 Australian technology now boosting the performance of Germany’s flagship radio telescope will go on show at the Adelaide Convention Centre.